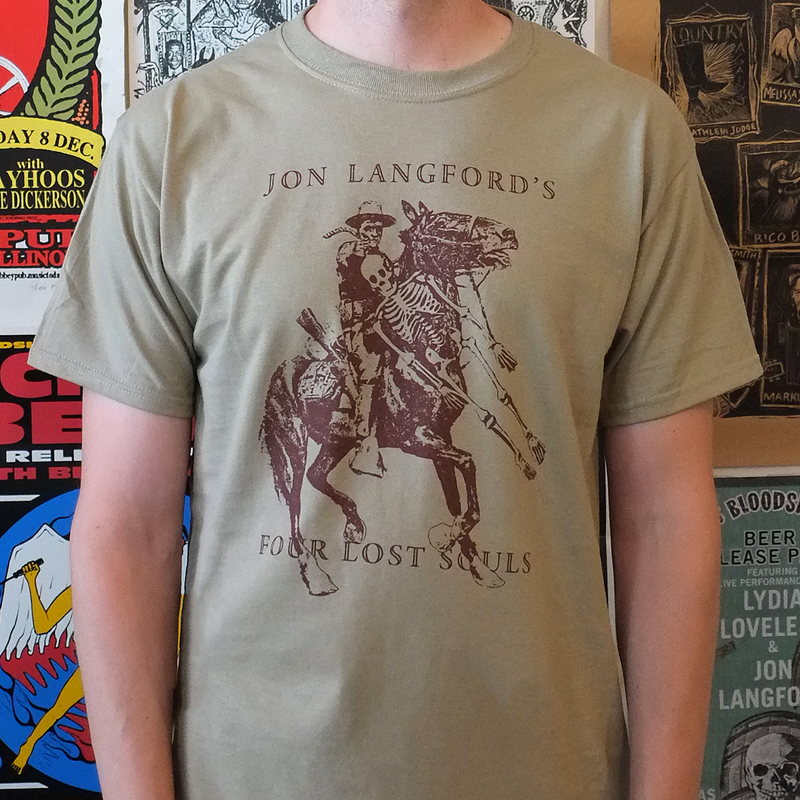 Saddle up and ride with Jon Langford's vengeful ghost cowboy. Cover art from the Four Lost Souls limited edition box set garishly rendered in t-shirt form. Khaki shirt, 100% pre-shrunk cotton.